Leading Manufacturer and Exporter from Coimbatore, our product range includes Juice Processing Machines such as Juice Processing Machine, Automatic Juice Machine, Mango Pluper Machine, Aloe Vera Juice Extractor Machine, Steam Jacketted Kettles, Two Stage Pulper and many more items. 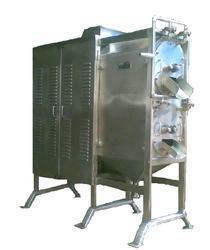 We are well known enterprise involved in manufacturing supplying superior quality Juice Processing Machine. Our offered juice processing machines are highly demanded by food and beverage industry for its efficient performance in crushing seedless fruits to extract juice. Developed from rugged steel construction this machine is equipped with powerful motor that is available in various horse power specifications. 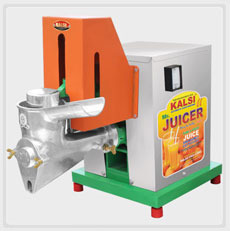 We are specialized firm manufacturing and supplying a wide assortment of high in demandAutomatic Juice Machine. 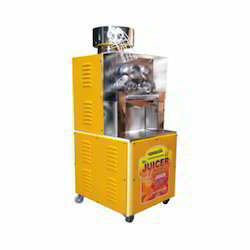 Our offered automatic juice machine is ideal for both commercial and domestic purpose. Thoughtfully developed to extract juice of seedless fruits including mango, apple, pineapple and tomatoes, this high performing juice extractor is available at market leading price. 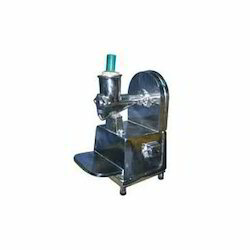 We are reckoned as prominent manufacturers and suppliers of foremost quality Mango Pluper Machine. 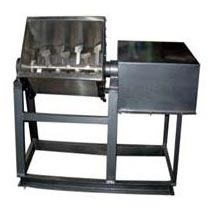 Highly acclaimed for its versatility in extracting pulp of various fruits and vegetables, this pulper machine is available in brush type and canvas screw type model that can be ordered from us in various horsepower specifications. We are well known entity involved in manufacturing and supplying high quality Aloe Vera Juice Extractor Machine. 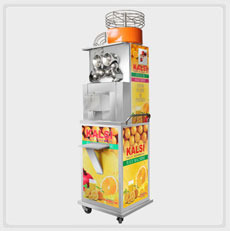 This machine features stainless steel body, quality approved components and prevailing hammer crushing mechanism to extract juice from hard and seedless fruits like Aloe Vera. Further, we are providing this best in class juice extractor at various output capacity models that can be ordered at market leading price. 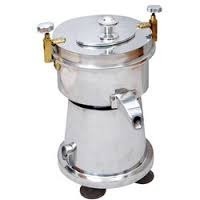 We are highly recognized firm instrumental in manufacturing and supplying Steam Jacketted Kettles. Highly demanded by industrial kitchens and restaurant personnel, these kettles are best suited option for maximum steam utilization in cooking. Equipped with pressure gauge, safety valves and steam trap, these kettles are developed from 10/10 s.w.g. stainless steel. 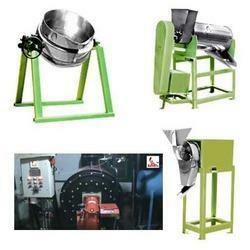 We are reckoned as major entity actively engaged in manufacturing and supplying high qualityTwo Stage Pulper. 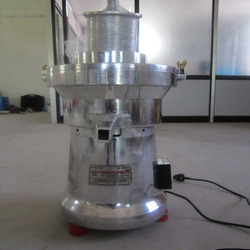 This two stage pulper machines are highly demanded by food and beverage industry for its efficient performance in destoning, skin removal and then pulp extracting of various fruits and vegetables. Featuring finest quality scrapper rotors, this high performing machine can produce 300 kg per hour to 2000 kg pulp per hour. We have complete allegiance in manufacturing and supplying an extensive range of Pulper Single Stage. Widely demanded to crush fruits and vegetables to extract pulp, our offered pulper operates on continuous feeding and extraction mechanism. 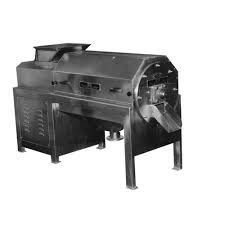 Further, this pulping machine is developed from finest grade stainless steel to ensure superior performance for a longer time. With thorough knowledge of the industry, we are engaged in manufacturing and supplying Amla Juice Machine. Extensively used to amla juice,Amla Juice Machine are manufactured by using premium quality material and following industry laid norms. Along with this, our experts examine these machines on different parameters of quality and performance, before the final dispatch. Leveraging on our industrious workforce, we deal in the manufacturing and supplying of Amla Processing Machines. Incorporating the best known components, these processing machines are in huge demand among our clientele and are manufactured at par with the set industry standards. Besides, these give efficient and everlasting performance and are developed utilizing the best available technology. We are counted amongst the renowned Manufacturers, Exporters and Suppliers of Tomato Sauce Making Plant from Pune. This Tomato Sauce Making Plant is manufactured with the best Raw Materials and Components, sourced from certified Vendors. Our expertise has enabled us to design and fabricate Tomato Sauce Making Plant in different specification to cater to the growing demands of our Patrons. We design the Tomato Sauce Making Plant in order to make different types of sauces, ranging from tomato sauce to chili and mustard sauce. Clients appreciate our Tomato Sauce Making Plant for features like smooth performance and low maintenance requirement. For churning out the best output, we manufacture highly advanced sophisticated Tomato Sauce Making Plant that is easy to operate. Along with the standard range, we are also involved in providing customized Tomato Sauce Making Plant to the clients as per their exact specifications and that too at the market leading rates. We manufacture, supply and export a wide range of Snacks Making Plant, including Single Screw Extruder, Mixing Machine, Potato Peeler, Hydro Extractor, Snacks Drier, Puff Snacks Extruder, Fryams Extruder, Bhujia Making Machine and Vegetable Slicer. 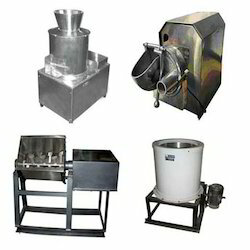 The Snack Pellet Plant, Salted Snacks Making Plant, etc. are produced in different configurations and technical aspects for meeting the customers’ requirements. Also, we allow customization of Snacks Making Plant to provide clients their required machine configurations. The material used for fabricating these Snacks Making Plants is procured from credible Vendors, further ensuring that the final Snacks Making Plants are excellent in terms of quality, performance and long-life. 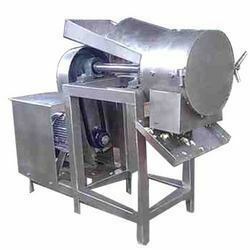 We are one of the reliable names in the field of offering quality Pickles Making Machine. 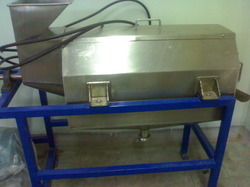 This Pickles Making Machine is manufactured at our unit by the experienced team of Technocrats and Engineers, which holds expertise in its domain. When it comes to the pickle processing lines, this Pickles Making Machine is able to finish feeding, washing, shredded, desalination, dehydration, material seasoning and mixing process together. This Pickles Making Machine is designed in such a way that it provides hassle-free performances. Our Pickles Making Machine is high in demand in the market because it promises smooth cut surface, high-yield, health and safety of the finished Pickle. A high degree of automation saves work and effort. Our Pickles Making Machine is capable to make 5000-8000 kg of Pickles within the set time. We are the manufacturers of health drink processing machine .We offer best quality and production based upon the customers satisfaction. 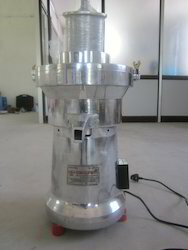 Our customers can avail from us high quality Fruit Crusher or Fruit Mill Machinery. This machine offers high performance and requires less maintenance. Available at industry leading price, we can even customize this machine as per the application requirement of the client. We are also engaged in undertaking turnkey projects for processing machinery.